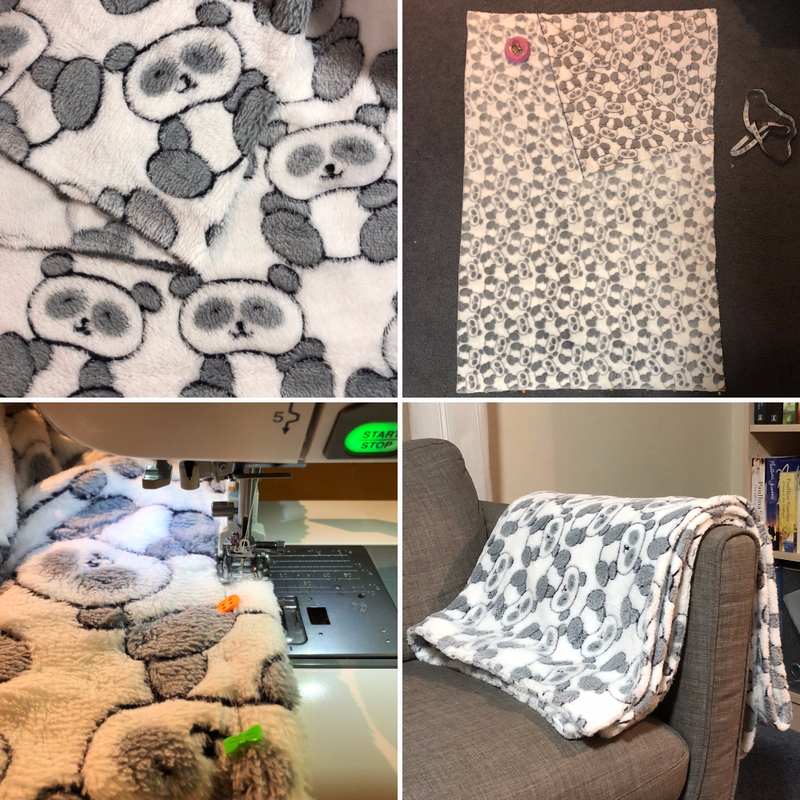 I used two layers of minky fabric that I hand basted with wrong sides together. To add some colour I went for a bright pink quilting cotton fabric as binding. I joined 6″ strips of the fabric with diagonal seams. 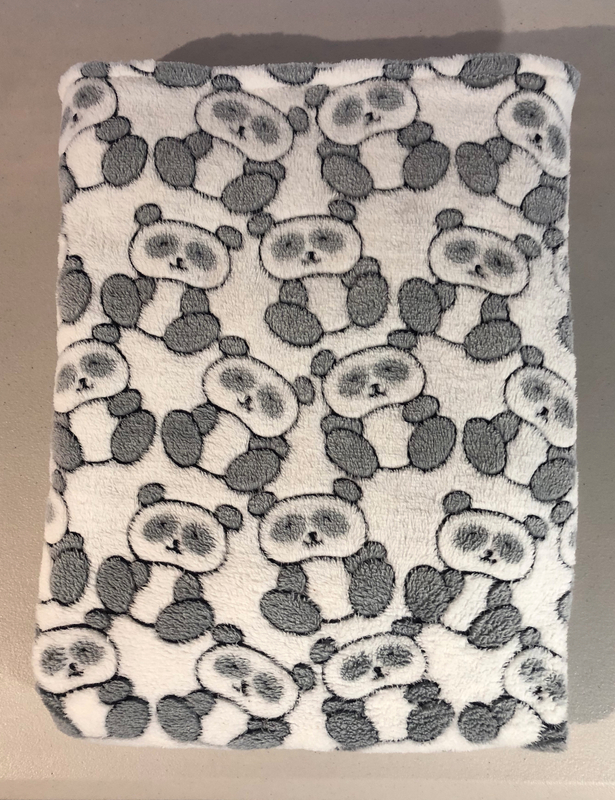 I pressed the binding strip wrong sides together length wise, unfolded the strip and folded the raw long edges in to that first crease, refolded the first crease and pressed again. I stitched it on to the minky fabric as shown in the picture. I folded the binding over the edge. I prefer to hand stitch, I like the look and I enjoy a bit of hand stitching every now and then. But if it is not your thing you can of course use your sewing machine. 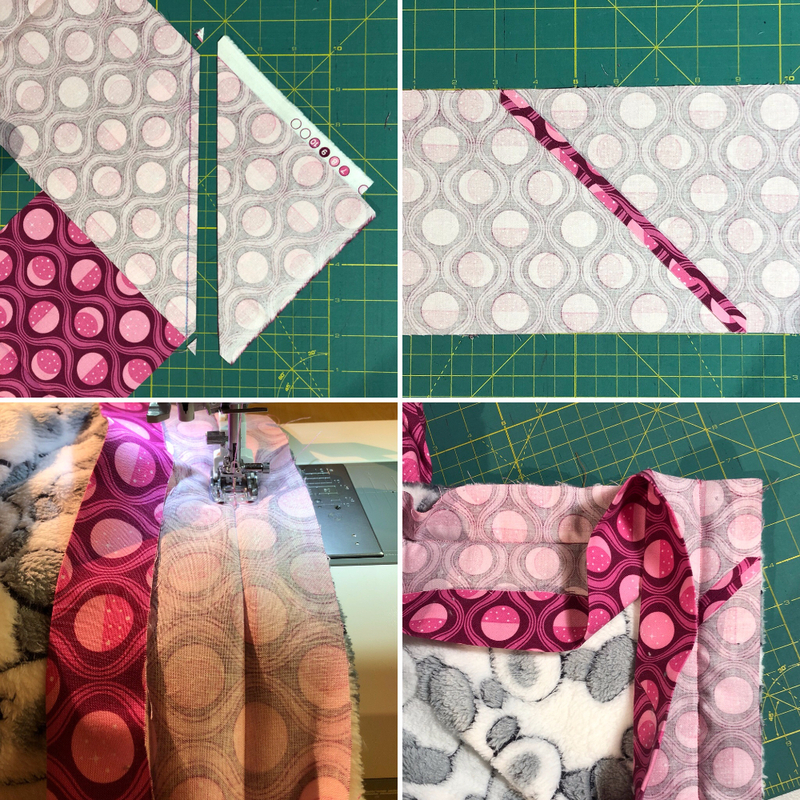 A zig zag stitch with thread that matches the binding works well with minky fabric. The second half of the minky I folded wrong sides together and stitched the raw edges together, leaving a 6″ opening for turning. I turned it to the right side and topstitched the opening closed, close to the edge. After that I topstitch all the way around 1/2″ from the edge. 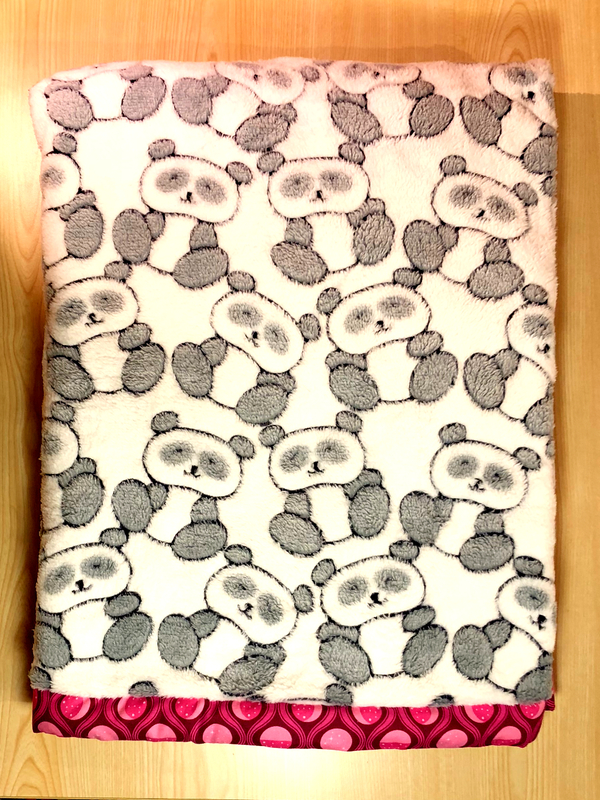 This is a throw I made last year where it is easier to see the the top stitching because the pile of the minky is lower (it is less “fluffy”). 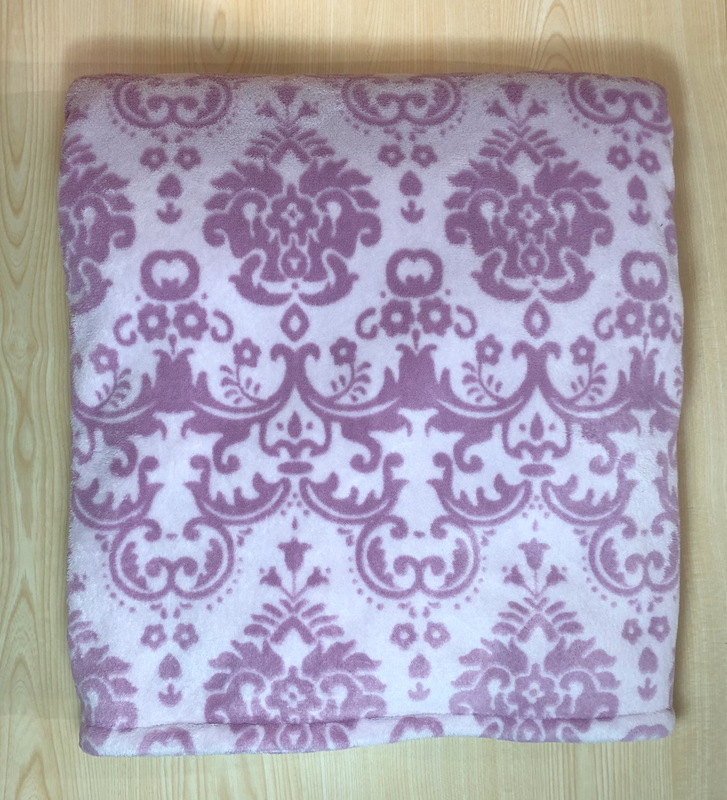 I like the throw to have minky fabric on both sides, but minky fabric can also be used as quilt backing. 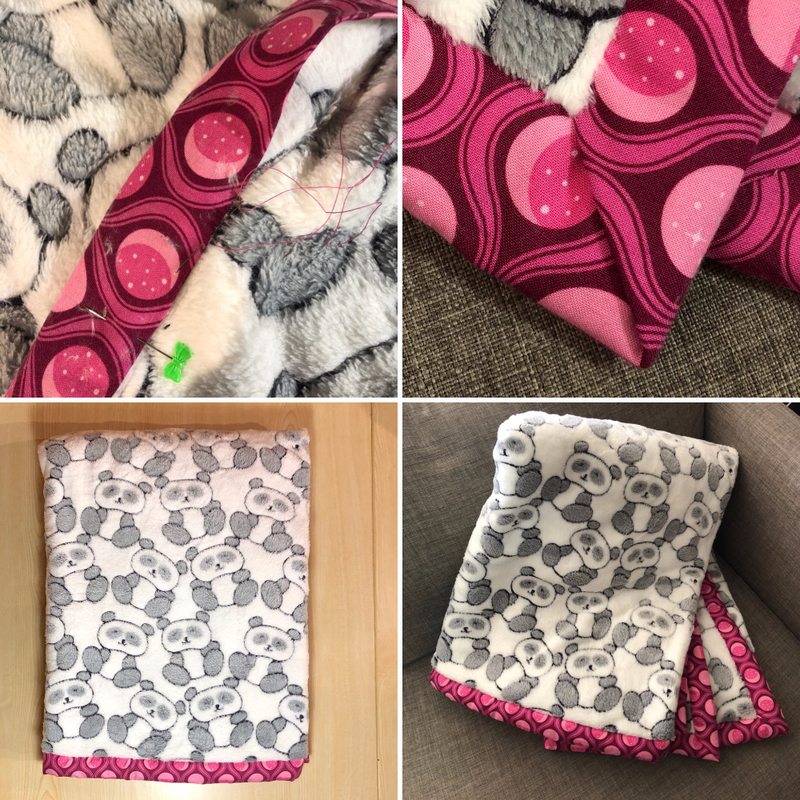 Here is a blogpost from Sotak Handmade about using minky as quilt backing and here is a really cute self binding minky baby blanket tutorial from Make it & Love it.